The first thing you notice is that voice: deep and rich and warm, gorgeous, graceful, and somehow earthy and ethereal at once. It is an instrument perfectly pitched and primed to each line, with each audible breath. Just as warm and familiar and frankly right as the needle hitting the groove on vinyl. Yeah, that’s the stuff—the blues, clever with pain, a sentimental journey hardened into sad-happy wisdom. Loren, as the saying goes, knows her way around a song, whether it be a composition of her own or one of her surprising and always dead-on covers. Witness the way her ingenious arrangement (composed with frequent collaborator, pianist Matt Treder) turns a radio-overplayed ballad like Procol Harum’s “Whiter Shade of Pale” into something utterly new and unexpectedly affecting, or check out the swinging upbeats and jaunty phrasing that gets the foot tapping to “Dock on the Bay,” without once betraying the spirit of Otis Redding’s masterpiece. Loren’s choice and performance of standards—from “Summertime” and “God Bless the Child” to “Blue Skies” and “La Vie en Rose”—is exquisite and respectful and inventive, another sign of her artistic intelligence. Still, for all she has already accomplished, it is what lies ahead that should truly thrill any fan of Loren’s music. This past year found her characteristically elevating her craft, getting better with each live performance, each newly written song or recorded work. At present she is planning a recording project that will fuse her unique songwriting chops with her deep roots in jazz, and which Loren says will be something altogether different from any of her previous albums. It is just this willingness to explore new avenues of creativity—combined with her inexhaustible drive and inimitable talents—that gives one the feeling that Loren is on the verge of setting the wide music world on fire. It’s only a matter of time. 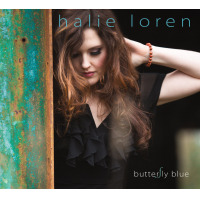 Vocalist Halie Loren Releases "They Oughta Write a Song"
All About Jazz musician pages are maintained by musicians, publicists and trusted members like you. Interested? 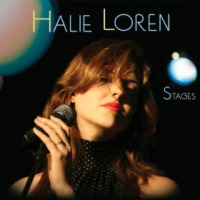 Tell us why you would like to improve the Halie Loren musician page.